Lake Natron is situated in the north of the Ngorongoro Highlands; to the south is the active volcano, Ol Doinyo Lengai and to the west, is the edge of the Serengeti National Park. The journey is a long but beautiful passage through dramatic, harsh territory. Making this an outstanding destination for walking safaris. Walking in the African Bush with Maasai Warriors as you guides is a unique opportunity for spectacular game viewing combined with the prospect to experience cultural encounters amongst the Maasai, Datoga, and nomadic Bushmen. Lake Natron is a soda lake at the base of the active Ol Donyo Lengai volcano, the area around the lake is often described as having a desolate and almost lunar beauty. Walks around the lake and up along the side of the streams to the waterfalls along the nearby escarpment make for a fantastic adventure that is well and truly “off the beaten track”. Catch the morning shuttle bus to Arusha. Lunch in Arusha. Proceed to Ngorongoro Crater with an en route late afternoon game viewing in the crater, 3500m. Dinner and overnight at a campsite, L,D. Full day in the Ngorongoro Crater. Morning game viewing in the crater then drive through highlands to the rim of Empakai crater campsite, B,L,D. 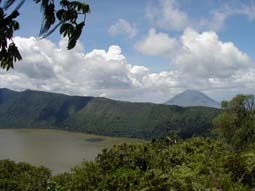 Day 03: TREKKING EMPAKAI CRATER. Full day of trekking and walking in the crater, we explore this unique forested crater on foot, and marvel at the variety of its wildlife and flora that abounds in it. Dinner and overnight at a campsite, B,L,D. Today, we hook up with Maasai guides for a walk/trek down the Rift Valley escarpment to the Salei plains. Dinner and overnight at campsite, B,L,D. We continue with the trek/walk along the Great Rift Valley escarpment. The views over Lake Natron are magnificent. The flamingo colonies from a distance are a splash of dark pink colour on the lake. We reach the floor of the Rift valley where we camp for an overnight stay. An early sleep would be preferred owing to the next day's early trek up the Lengai to summit by sunrise, B,L,D. 01:00hrs - An early start just after mid night . 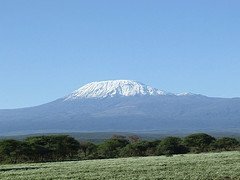 Start the climb up Lengai mountain to reach the summit just in time for the sun rise on Mount Kilimanjaro some 200 km away. Inside the crater we witness small eruptive cones spurting liquid magma which in turn form pools of hot lava. It is a powerful magical place sacred to the Maasai. We descend to catch our afternoon vehicle transfer across the Rift Valley towards Mount Longido for an overnight camping, B,L,D. Return to Arusha or Nairobi. We take a little used track to reach the main road to the border (Arusha - Namanga Road). After border formalities we head back to Nairobi, B,L.